Library week was celebrated at NPS-HSR from 28th August 2017 to 1st September 2017. A special assembly – The book was better was presented by the secondary school to kick start the festivities. The students of Grades 9 & 10 donned their storytelling hats and enthralled the tots of Grades 1 & 2. 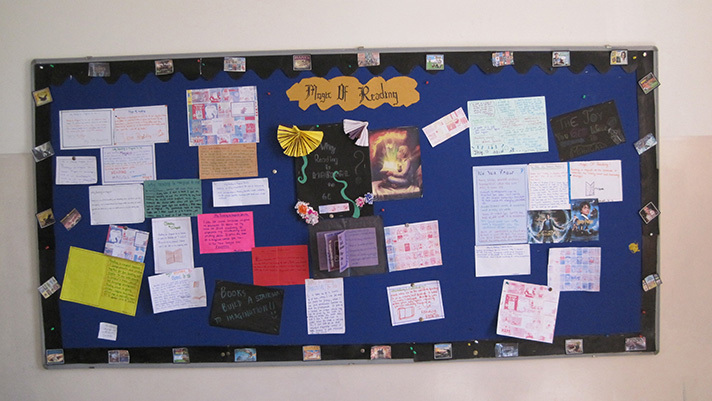 Grade 8 created stories from their newspapers; Grade 7 let their creative juices flow with Harry Potter haikus and the students of Grade 6 showcased their artistic talent with a Bulletin board exhibit on the Magic of Reading. 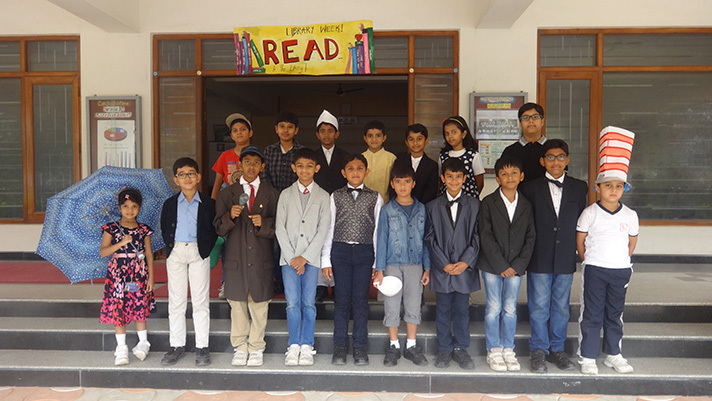 Teachers were invited to talk about their favourite childhood books to the students of Grade 3, while the students of Grade 4 & 5 had their wits tested with a Literary Quiz. Authors and characters came alive in a special assembly put up by the Primary school and a Panel discussion on the Ethics of FairyTales by the 9th and 10th graders revealed some interesting facets. Budding authors, poets and bloggers of the school were also invited to display their literary pieces in the library through the week.